Paris: Adrien Sporck, No date but 1902 copyright. Hardcover. Good. Colour illustrations to nearly every page by George Delaw. 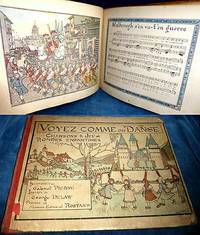 Oblong octavo red cloth-spined pictorial boards (tips and edges worn, lower cover marked). Publisher's list tipped onto front free endpaper + 47pp +p cameo illustration. Covers worn but text and illustrations bright and clean throughout. Includes Malbrough s'en va-t'en guerre, Le roi Dagobert etc. London: Penguin reprint of 1st edition, 1953. Hardcover. Very Good. Small octavo plum buckram gilt lettered spine 365pp. Ownership inscription 1956, pages browning at edges else clean and tight. 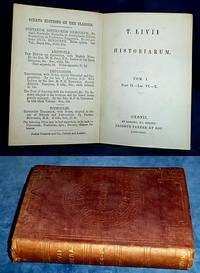 Leipzig: Otto Holtze Tauchnitz edition, 1882. Softcover. Good. Duodecimo card wrapper with manuscript title on spine, ownership name dated 1958 inside front cover, [iv] + 388pp. Titlepage a bit soiled with small loss of paper (not text) at foot, small neat contemporary marginal ink notes throughout, else clean & tight. London: William Heinemann Ltd Loeb Classical Library, 1924. Hardcover. Very Good. Frontis illustration of a coin with head of Apuleius. Duodecimo red cloth covered boards, gilt Loeb monogram & spine gilt lettered, xxiv + 608pp + Loeb Classical Library publisher's catalogue. Titlepage in red & black with tissue guard for frontis, facsimile titlepage from original 1566 translation, Latin text & English translation in parallel, Index. Ownership inscription 1958 on front free endpaper, else clean, neat and tight. 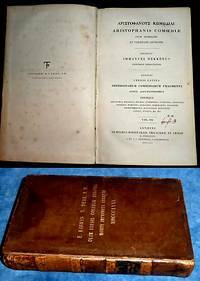 London: Whittaker, Treacher & Arnot - R. Priestley + J.& J.J. Deighton (Cambridge), 1829. Hardcover. Very Good. Volume III (only) Octavo full leather on 4 raised bands and one of two labels gilt to spine, cover and gilt legend "E Libris R. Dear. A.M. olim istius Collegii Tutoris, Morte Improvisa Abrepti MDCCCLXXI" (tips worn/chipping to head of spine, rubbed & some marks). St. John's College Oxford library stamp & later neat ink ownership to pastedown, ink library shelfmark to title. Half title + titlepage +635pp. This is the Notes volume with profuse Greek & Latin annotation in 22 columns on the Acharnians, Knights, Clouds and Wasps. Endpapers and first text page facing them are foxed but text, on different paper, has no foxing and no tears or loose pages. 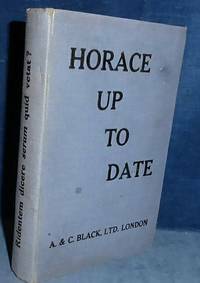 HORACE UP TO DATE Ridentem dicere serum quid vetat? London: Adam & Charles Black 1st edition, 1927 by inscription. Hardcover. Good. 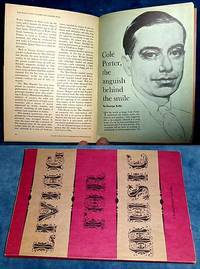 Octavo blue boards titled in black on cover, and Latin "Ridentem dicere serum quid vetat?" on spine (tips worn, a few light marks). Inscribed C.F. Coxwell 1927 to fly leaf, [viii] +183pp. Last 3 leaves with slight fore-edge chipping, pale foxing to first 3 & last 3 leaves. 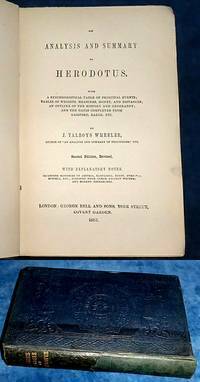 The last leaf, containing a poem on triple initials is signed R.** and the last page is of Press opinions written by the author, because "the Press is often dilatory and not always satisfactory at book notices so the author has thought best to provide his book with a few opinions in advance for the benefit, or warning, of readers". *Clever and amusing parody on the Odes of Horace written by classical scholar and author R. Hope Monscrieff, who wrote guides on the counties of England for A. & C. Black. 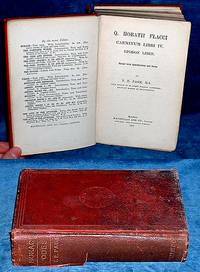 A privately printed shorter version was given as a Christmas gift to his friends in 1926, the year before he died. London: George Bell and Sons 2nd revised eidition, 1883. Hardcover. Good. Octavo blind-stamped decoration of Collegiate Series (lower half of spine rebacked/tips bumped and worn). Advert endpapers, xvi (including half title and title, tables and introductory outline) +349pp. Inner hinge reinforced, ownership E. Chapman Magdalen College Oxford 1949 to pastedown. Some three or four conjoint pages carelessly opened but no loss of text. A neat copy with no underlining, no loose pages and no writing inside. Harmondsworth Middlesex: Penguin Books 1st edition, 1956. Softcover. Very Good-. 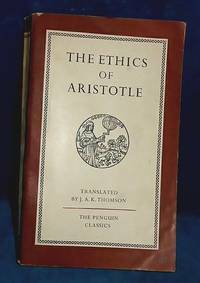 Paperback (pale foxing to spine only, edges minimally shelf rubbed) 320pp including index. *Neat name and date 1997 to half title. No loose pages, no tears and all pages firmly attached and supple. London: His Majesty's Stationary Office, 1943-1944. Softcover. Good. illustrated throughout. Octavo pictorial covers (tips rubbed some creases traces of name one 1cm eadge tear) 103pp Uniform slight paper taning all pages well attached. 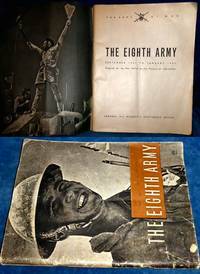 *Copiusly illustrated WW II publication displaying progress of the war in North Africa. Lodon & Cape Town: Reader's Digest Association 1st edition first printing, 1969. Softcover. Very Good. illustrated throughout Small octavo rose & beige card covers (tips bit rubbed) 96pp. Everyting from Menuhin via Louis Armstrong to Rubinstein's piano playing, Verdi to Gilbert & Sullivan, Handel's Messiah to bell Ringers. Oxford & London: James Parker & Co, 1873. Hardcover. Very Good. 128x90mm blind-stamped cloth of the Greek & Latin Classics series, spine gilt titled (head of spine worn/small ink mark to cover) All Edges Red sprinkled xi (inc. titlepage & Argumenta Librorum Livianorum) +369-661pp +pp book lists to both back and front endpapers. A neat and tight copy of Livy's History books 6 to 10 in LATIN. Nice clean unmarked copy, no loose or torn pages, no creasing or inscriptions. London: John Player & Sons/Imperial Tobacco Co, 1935, 1939. Ephemera. Good. 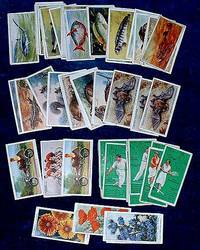 SEA FISHES 23 cards + ANIMALS 12 with some duplicates + CYCLING 3 & TENNIS 10 + GARDEN FLOWERS 4 cards. 67x36mm Tennis cards are in least good shape one having a corner lost, all a bit dusty. Cycling cards with 2 duplicates of the Horizontal Bicycle which came from continent in 1933 and the Pacing Triplet. Paris: Service Commercial Monuments Historiques, 1954 approx. Ephemera. Very Good. Black and white photos (20 +20 +20). Three sets 90x65mm in strong paper folders with rectangular cut out to front so first photo can be viewed and rear with tuck in flap (slight rubbing to edges of folder) twenty photos to each folder, location printed at back of folder. London: Chings Cigarettes, 1963, 1964 approx. Ephemera. Very Good. Colour cigarette cards (30). 77x65mm colour photos all in very neat clean condition. London: John Player & Sons, 1937, 1938, 1939. Ephemera. Very Good. R.A.F. 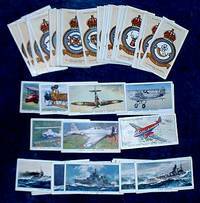 Badges (25 + many duplicates) + Aircraft (9 different cards) + Modern Naval Craft (10). 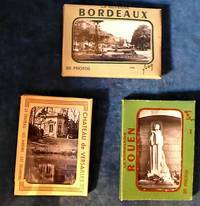 68x36mm with duplicates of these three series there are over 80 cards. London & Belfast: Gallaher Ltd, 1936, 1938, 1934,. Ephemera. Good. DOGS 41 cards from set of 48 + 19 from 2nd series of 48 + larger size 22 of 24 + 11 GARDEN FLOWERS from series of 48. 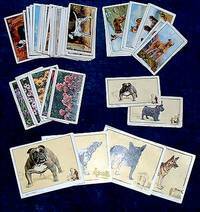 64x38mm and larger size 79x62mm All in good shape (the flower cards a bit dusty) also there are 8 duplicates (3 being the small size but having the same illustration as the "Large Size" cards) these have corner creases and some wear but with small vignettes in corner showing what each dog is best used for (eg. punt shooting retriever, bull-dog for guarding etc). TOTAL over 100 Gallaher Cigarette Cards. Malta: Printed at the Malta Herald. Ephemera. Good. Photos of performers + advertising illustrations. 12mo bronze and black Art Deco covers (some creasing & rubbing). Unpaginated but pp. An ambitious season to include Gounod's FAUST, Mascagni's ISABEAU and MANON, Boito's MEFISTOFELE, Orefice's CHOPIN, Puccini, Rossini, Verdi, Bizet etc. *Period adverts throughout (e.g. Zahra's Watch & Clock Hospital 78 Strada Mezzodi Valletta patronised by Army, Navy & R.A.F.). 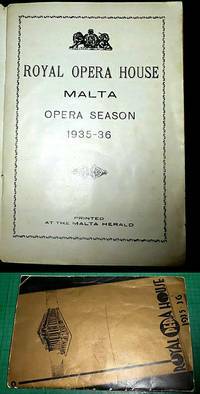 Remarkable period piece from shortly before Malta's WW II perilous period under attack from Fascist Italy. 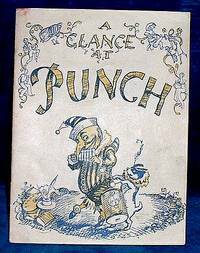 London: Punch" Offices, 1937 approx but n.d. Softcover. Very Good. Cartoons and jokes from Punch. 16mo paper covers in blue and yellow (tips sl.rubbed) 16pp +paper covers printed both sides. Neat and tight original staples no tear, writing or marks. Approx date from "TD 1936" car license plate, "37" following signature of illustration. 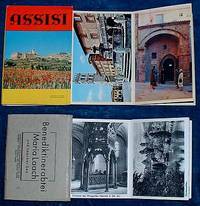 Italy, Germany: Alterocca Terni & Ars Liturgica, 1960 approx. Ephemera. Very Good-. Colour photographs (20) + 10 b/w photos. Two Panoramas 113x73mm & 89x69mm each panel folds out to make a strip of views showing the inside and outside of the Monastery/Basilica. Italian panorama with descriptive caption on back of each photo folding into pictorial folder, tips bit rubbed but clean and nice. 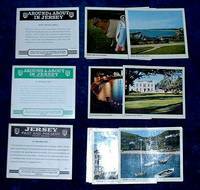 German panorama with captions beneath each photo and folding into a grey envelope type folder with tongue closure (folder creased to tongue edges sl.worn & rubbed but no tears, no marks). London: Macmillan & Co, 1905. Hardcover. Fair. 160x104mm blindstamped red pebbled cloth spine gilt lettered (some ink splashes/edges worn and lower hinge repaired /spine darkened) xxxvi + 130 +*131-*151 & 132-515pp inner hinges sl.pulled and first dozen leaves with sime marking, Over 100 Odes with some 370pp of notes.